We worship hard and we serve hard, but we also play hard. 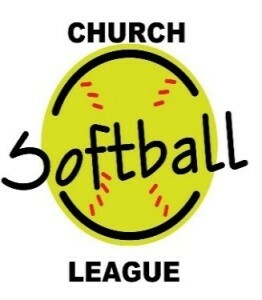 Every summer, Peace In Christ has two softball teams that compete in the Duluth-area YMCA's Church League. Come join either the Red or the Blue Team this summer! Also, check out all of our softball trophies from over the years on top of the church mail boxes. Every September, we kick off the new school year with a special Sunday service, picnic lunch, and golf tournament. The last couple years, we have held this special event on campus here at Peace In Christ. The worship is in the sanctuary with the Praise Team leading music. A picnic in the parking lot gives members the opportunity to socialize and catch up, while the kids play games and other organized activities. We even got both Pastors in a Dunk Tank this year. Every fall, our women go to Heartwod Conference Center in Trego, WI, for a weekend retreat. These ladies enjoy Bible studies, games, food, and fun. It could be several small parties happening at the same time or one really big party, but regardless it is always a great time! Years when we do our In-Homes style of Christmas parties, multiple members open their homes for several small parties that happen simultaneously. Years when we do our congregational Christmas party, one of our families that is blessed with a large home, hosts one party for everyone. Games are played, carols are sung, food and drink are enjoyed, but most of all Christ is celebrated with friends. Be sure not to miss this fun opportunity in December! The last two years, Pastor Kevin has taken several men of the congregation up to Baudette, MN. They have stayed in different resorts, but three nights stay with two days of fishing out on Lake of the Woods always leads to a great time. Like to snowmobile, ice fish, snow shoe, or spend time in the great ourdoors with other men? Every February, a group of men from church head up to Silver Lake Lodge in Ely for a weekend retreat. Yes, there really is all the activities listed above as well as Bible study and great food. Look for the sign up to go up in January, and be sure not to miss out on the fun.